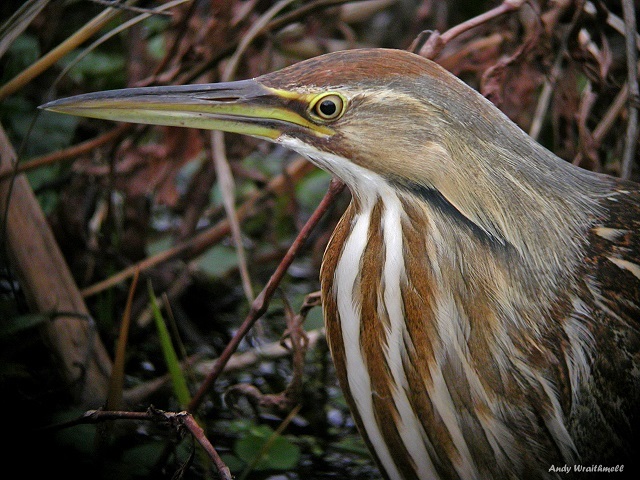 Lake Apopka North Shore has some of the best birding in central Florida with more than 300 bird species documented. This superb site has miles of multi-use trails. On the west side of the property hike or bike the 6-mile Clay Island loop; there are 4 observation towers along this trail. Most birders head to the North Shore Trailhead on County Road 448A. Walk or bike this trail looking for Sora (winter), Purple Gallinule, and Fulvous Whistling-Ducks. 13 species of flycatcher have been recorded including Fork-tailed and Ash-throated. In recent years Groove-billed Anis have wintered. In 2003, a Eurasian Kestrel was found, attracting birders from all over the country. One of the site’s most popuar access points is the relatively new Wildlife Drive, a one-way, 11-mile drive (open to motor vehicles) that meanders through the eastern portion of the property. It is only open between sunrise and sunset on Fridays, Saturdays, Sundays, and federal holidays. The drive begins at Lust Road and ends on Jones Avenue. Over 250 species have been recorded along this popular route including Least Bittern, King Rail, Limpkin, Gull-billed Tern, Barn Owl and Crested Caracara. Rarities such as Greater White-fronted Goose, Willow Flycatcher and Shiny Cowbird have been spotted in recent years. American Alligators are abundant and both River Otter and Bobcat are regularly spotted. Whenever visiting this site make sure you have your camera handy, there are suprises around every corner!